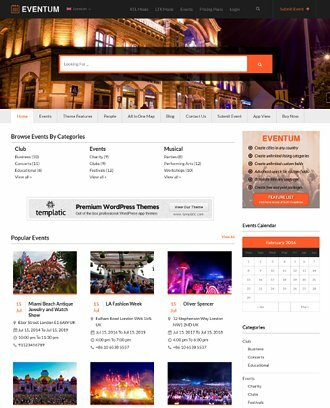 Use Eventum to create the ultimate events directory website. 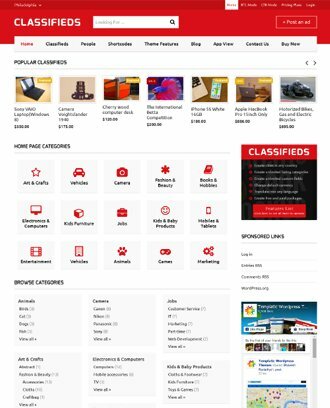 A modern and smart Classifieds WordPress Theme to create online classifieds websites in minutes. The only directory solution you will ever need to easily, create, manage and make money through an online directory website. 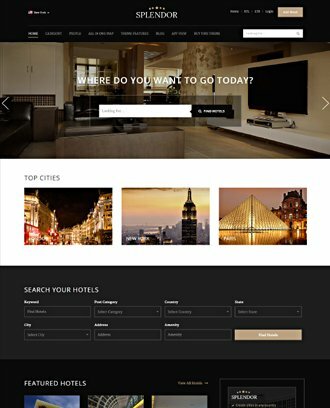 Use HomeQuest to showcase your properties, beautifully. Create Directory in WordPress easily. 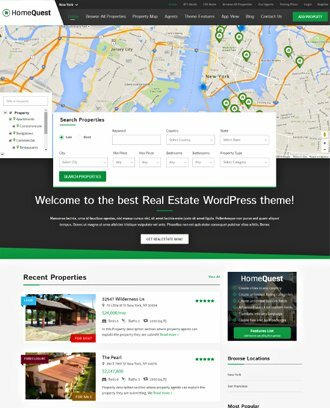 This WP theme is a powerful local or international business listings software for WordPress. 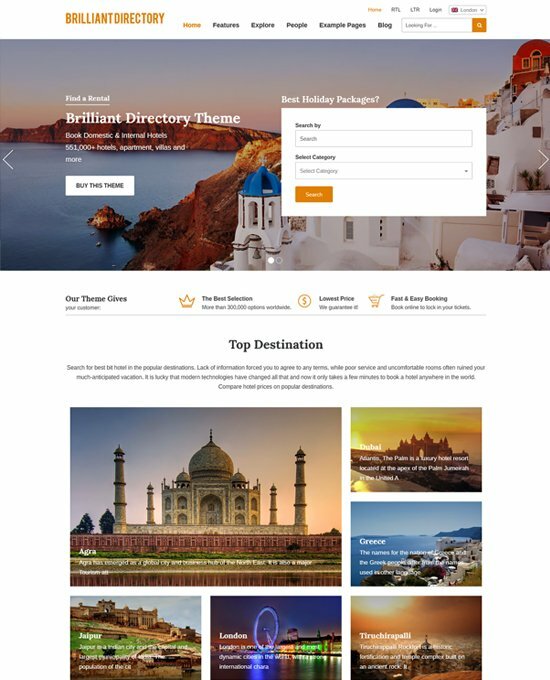 Choose from the above-listed directory WordPress themes or check out this easy to set up, customizable, and SEO friendly directory software to launch your directory business today. WordPress is now much more than a platform designed for blogging. It is now one of the best Content Management Systems that help you maintain and manage a large amount of website data. The directory is a website with such massive data and to manage them you will require large databases with innumerable tables. WordPress, however, does this without having you to bother about the table, functions, and databases. 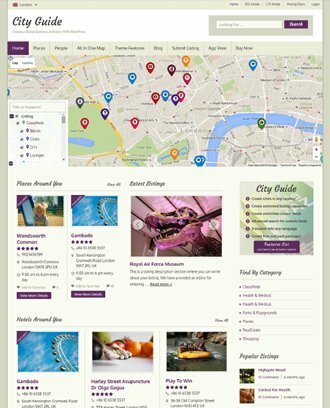 All you need is a well-designed, feature packed WordPress Directory Theme that comes with the flexibility to exactly fit your business requirements. 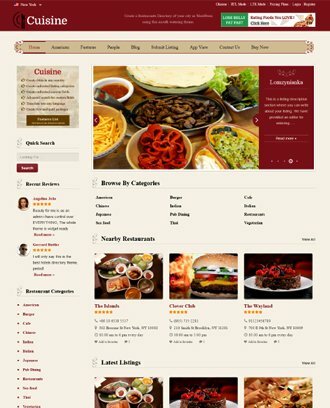 Therefore WordPress happens to be the best platform to create a directory website. This is why WordPress Directory Themes are so popular. WordPress makes creating, managing and operating a directory website easier than you can imagine. 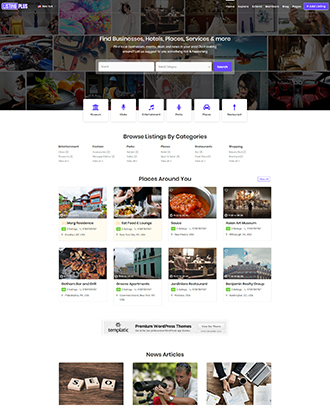 Directory multipurpose themes make it easier to maintain a directory but keeping track of all those users and data is not a cakewalk. Any website, be it a simple blog site or a complex, multifaceted WordPress Directory website needs human efforts to administrate and regulate it. When you are putting your efforts into your directory website, it’s reasonable that you expect it to earn some profit. If you want this profit to be financial, here are a few ways through which you can earn through your website. The simplest feature that lets you earn through your online directory website is the “Paid front end submission”. This is the feature through which you can allow your users to submit their listings on your website. This way the business will gain a platform to obtain exposure and your directory website will get new and fresh data in form of listings. Ultimately, this adds to the usability of your website by adding more useful information for the end users. The other way to earn is by displaying advertisement banners. This has always been the easiest way to make money through your website. 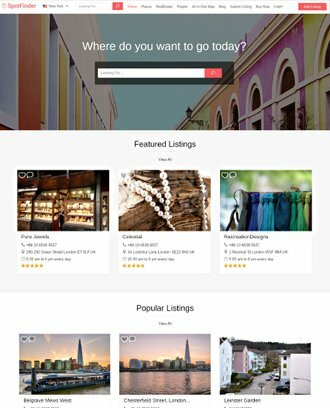 However, Templatic’s listings directory theme provides you abundant other possibilities to make money through the directory. For example – You can charge users based on the category they choose, or you can make them pay for claiming the ownership of their listing on your website. 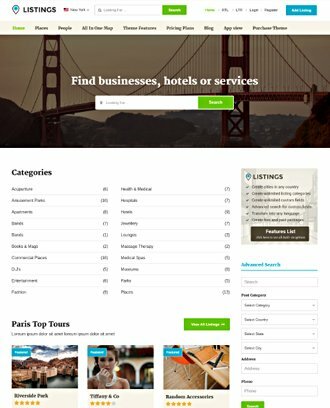 Or you can charge the listing owner to get their listings on the homepage/category page to get maximum attention. You can start with free submissions at first because at the initial stage you will need to accumulate content and get people to submit listings. To start off with, you need to create the website, ask people to submit their listings, insert some listings on your own and then will be the time to promote your website. After a while, when your website earns enough credibility, you can start charging the businesses to get listed on your website. How you promote your website is important. You can choose the medium of promotion according to the type of directory you plan. 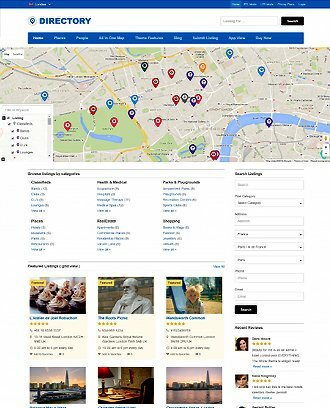 Example – For a local directory, you will need to get the attention of local people and draw their attention to how your website is going to help them. For a global directory, you must go to larger platform. Once you choose the platform, the next step will be explaining them the advantage of having their business listed on your website. Choose the hosting plan according to the expected traffic. Choose your host carefully, assess the speed, the security, the uptime, support and ensure that they provide all the features that you require. Click here to read more about the best hosting. If your target audience belongs to a single linguistic group, creating a localized(translated) website is a very good idea. This makes the users comfortable, and that is what you should always strive for. The second-best opportunity to earn through your directory WordPress website is by displaying ad banners. However, you should make sure that the other website elements are not disturbed by the advertisements. The placement and the type of advertisements should be chosen wisely. Directories are generally massive websites with heaps of listings on it. For a user looking for a specific listing or listings for a particular topic, it should be easy to search. This is why we need to organize the listings under categories and sub-categories. Here, you need to make sure that the categories and sub-categories are properly planned and implemented. Categories directly(or indirectly) help in providing relevant and useful results for the users. Moreover, it boosts usability and ease of access. 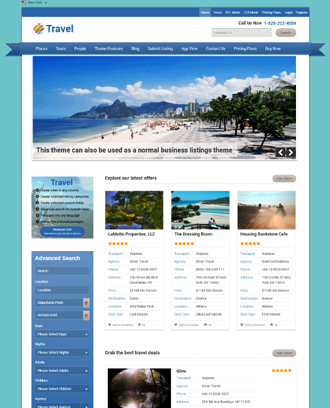 Directory themes are data intensive themes. 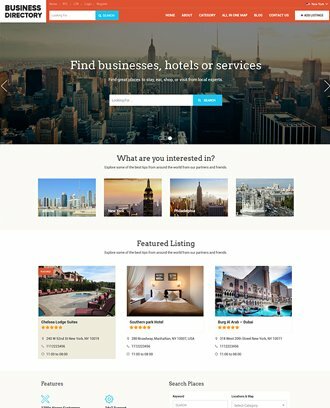 With each listing, fresh and unique content is added to your website. This is an added advantage that helps the optimization of your website. As much as a directory needs to be found, the features and unique content help you rank well. 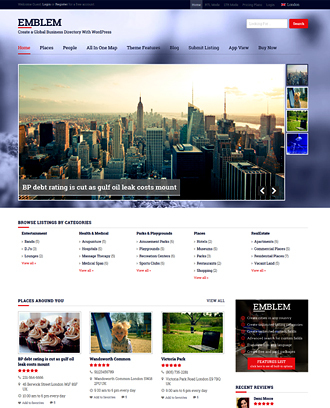 First, choose an SEO friendly theme. Second, Make sure that the content you add, the pages you create are all SEO friendly. Keep a watch on the content to make sure that redundancy is avoided. A sober and organized design makes using your web site comfortable. Whereas, unnecessarily complicated designs confuse the users and make everything look difficult even when it is not. You should provide all the features that make it easy for the users to find what they are looking for. Properly categorize your listings, display the related listings, accurate search feature, etc. Performance – No one likes to wait, especially when they are visiting a website. This is not a feature at all, it is a basic requirement. No matter how good your content is, but if the users don’t get the relevant result in time, it disappoints them. Performance doesn’t necessarily mean speed. It also involves “Accuracy”. Just imagine that your directory is super-fast, but the results it brings are quite irrelevant. Therefore, you need a directory website that is speedy as well as accurate. This is the easiest way to earn through the directory. Therefore, the least it should allow you to do is to make money through advertisements. The other type of directory website is simply multi-subjected. This means that all the listings in the website are not focused on one subject. Categories play a major role here. 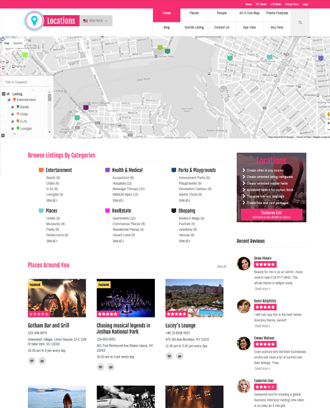 The best example of such directory is a city guide directory. 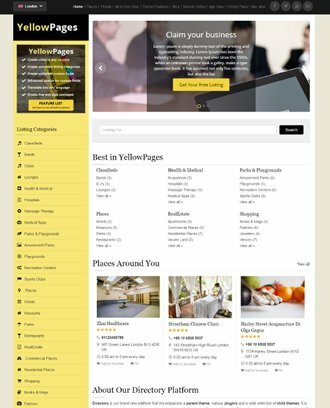 Such a directory will act as a yellow page facility for a city and it will be a home for different listings pertaining to the different subject. 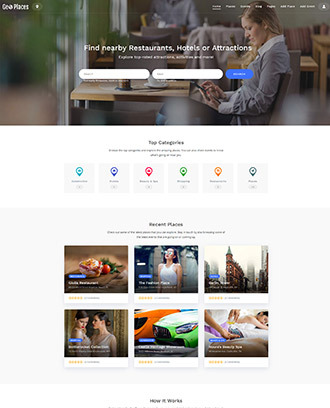 It will cover the listings of hotels and restaurants under the cuisine category, while listings for schools and colleges under the Academics category. Listing that you add to your directory is basically advertisements. So, you can let your website be a portal where the sellers post their ads and the boys come to search for the products. 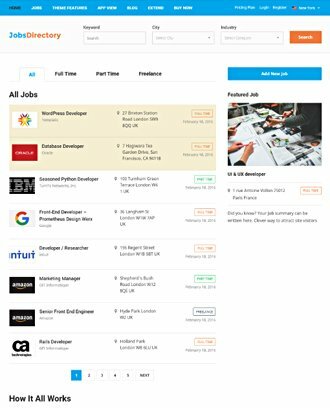 You can use such a classifieds website to let the traders post their commodities free of cost or you can make them pay to post on your website. Let your directory website act as an events portal where the organizers can post their events and the users can view the events. Let the organizers add the events in different categories and provide the details of their events. Allow them to sell tickets on your website. The users can view, review, RSVP and buy tickets. 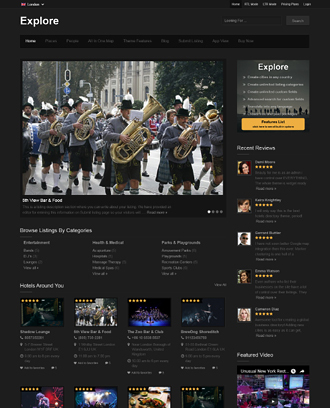 Our best WordPress Directory Theme and all of its child theme are feature-packed. With abundant options and capabilities, they’re designed to be easy to use. It is created so that even any person can create a website without writing a line of code and spending days to create their website. It’s a quick, easy and secure solution for everyone who wants to create and manage their own directory online. blogs, field monetization, and much more!